Written by Camilla Scarlett on 23rd November 2018 . Posted in News. We’ve launched a new campaign via Global Giving to support the costs of making new recording The Godfather. Please visit Global Giving to donate and help us reach our target! Donations made on Tuesday 27 November #GivingTuesday will receive additional funding by Global Giving so do make a note in your diaries to support us that day if possible. 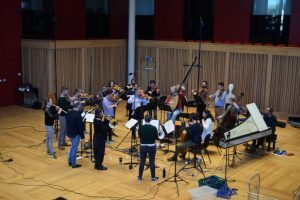 The album represents an important development to our footprint, marking the first time we record German orchestral works including music by JS Bach, Pisendel and Telemann. Recent recording work by La Serenissima has reached No. 1 in the UK Specialist Classical Chart, won the Gramophone Award in the Baroque Instrumental category and been acclaimed on Radio 3 and Classic FM. Our albums have an audience of millions via streaming and radio play alone, representing the most powerful means of sharing our mission with the world. Global Giving is a philanthropic crowdfunding system which means that La Serenissima will receive all donations made, regardless of whether the target is reached. Any donor contributing £250 or more to the campaign will receive a signed copy of the new disc, provided we can reach you! The campaign aims to raise a third of the costs of the new recording. If you would prefer to sponsor a track or offer major support to the project, please contact camilla@laserenissima.co.uk for more information. We need your help! Written by Camilla Scarlett on 6th August 2018 . Posted in News. 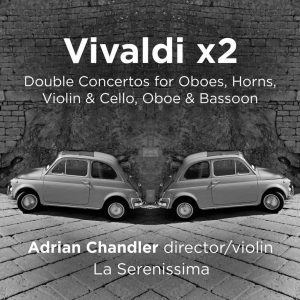 New release Vivaldi x2 hit the market on 20 July and entered the UK Specialist Classical Chart at No. 1. This extraordinary achievement reflects growing interest driven by a recent successful crowdfunding campaign and developing followers through recent flagship programmes The Four Seasons and Gramophone Award winner The Italian Job. The new record has been widely featured on BBC Radio 3 programmes Essential Classics, In Tune and Record Review and was celebrated on Classic FM as John Suchet’s ‘Disc of the Week’ with the immortal observation that La Serenissima ‘really put the rock into baroque’. The Telegraph critic Ivan Hewitt continued the theme by saying that listening to Vivaldi x2 prompted him to realise that ‘It was Vivaldi, not Louis Armstrong or Hendrix, who invented the riff’. We couldn’t agree more! Written by Camilla Scarlett on 25th May 2018 . Posted in News. New recording in the can! Written by Camilla Scarlett on 1st March 2018 . Posted in News. We’re so grateful to Mr & Mrs J A Pye’s Charitable Settlement for their support of the majority of the artistic costs, as well as to the many generous individuals who have donated. We hope supporters will be willing to respond to our appeal for help in raising sufficient funds to release and launch this new CD. It’s an important part of delivering our mission: to bring Italian baroque music to the widest audience. We will send out our next newsletter once our project is posted on the Global Giving site and explain more about the campaign, including how Global Giving will offer additional funding and benefits to La Serenissima if we generate a successful crowdfunding campaign. Written by Camilla Scarlett on 15th January 2018 . Posted in News. 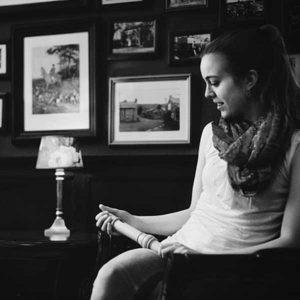 We are delighted to announce the addition of Emma Wilkinson to the La Serenissima family. Emma has begun this month in a new role of Operations Manager for the orchestra; her responsibilities include developing UK and foreign touring plans, with special focus on our 25th Anniversary Season during 2018/19. She brings with her enormous experience and widely-acknowledged expertise in the field, having worked for 27 years as Orchestral Manager for the European Union Baroque Orchestra, prior to its departure from the UK (post-Brexit vote). 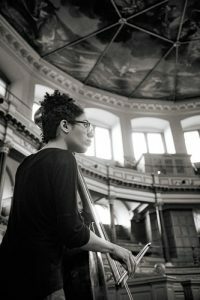 Her arrival is hugely significant as it is the first time in our history that there will have been sustained support from an experienced professional from outside the musicians of the group. 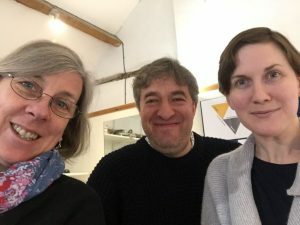 She joins Artistic Director Adrian Chandler and General Manager Camilla Scarlett in the charity’s new office in Oxfordshire. Partial funding for the role has been generously provided by The Foyle Foundation and an anonymous donor; we are working to raise sufficient funds to secure the role in full. To help support this vital innovation, please contact General Manager Camilla Scarlett. 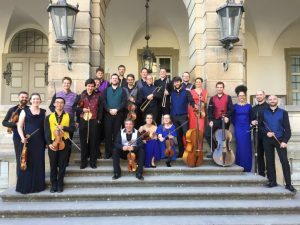 Vivaldi in Venice: La Serenissima returns to La Serenissima! Written by Camilla Scarlett on 10th November 2017 . Posted in News. La Serenissima gave three outstanding concerts with choir, orchestra and soloists in Venice for Martin Randall Travel’s Vivaldi in Venice festival. Works performed included the other Gloria (RV639 & 588) and Beatus Vir (RV795), opera Teuzzone and The Four Seasons. Soloists included sopranos Lucy Crowe & Elizabeth Karani, mezzo sopranos Rowan Hellier & Renata Pokupic, contralto Hilary Summers, tenor Charles Daniels and bass-baritone Ashley Riches. The performances were the culmination of some very exciting rehearsal sessions in London and months of editing and research (into the choral and operatic works in particular) by Artistic Director Adrian Chandler. 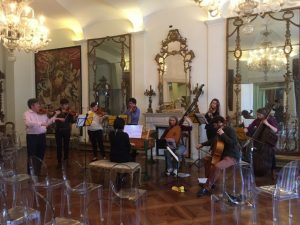 The group performed at Sala Apollinea (Teatro La Fenice), Chiesa di Santa Maria dei Derelitti known as Ospedaletto (a venue with no electricity, severely damaged by fire and water ingress) and Scuola Grande di San Rocco. The group gave some staggering performances in spite of tropical heat inside La Fenice and freezing temperatures combined with damp at the other two historic venues. Other performers in the festival included Italian colleagues Il Giardino Armonico (Giovanni Antonini) and Modo Antiquo (Federico Maria Sardelli). Written by Camilla Scarlett on 28th October 2017 . Posted in News, Uncategorised. 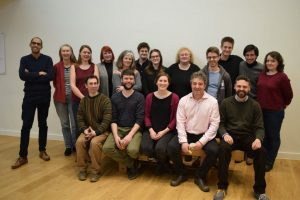 La Serenissima took part in the Culture Hive Small Scale Development Programme organised by the Arts Marketing Association, supported by Arts Council England. The course focused on building a realistic marketing plan to develop audience engagement. The 3 day programme brought together a large number of touring organisations (such as La Serenissima) as well as regional promoters and arts centres who all face similar challenges from the sector. It was a fantastic event and we will be developing plans to spread our vision more widely over the coming months with the support of online coaching from the AMA. Watch this space! Written by Camilla Scarlett on 11th October 2017 . Posted in News. Last night 12 musicians of La Serenissima, including contralto Hilary Summers, performed works by Albinoni, Brescianello, Caldara and Vivaldi to guests of His Excellency The Italian Ambassador. 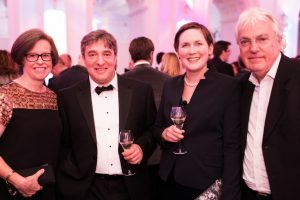 It was the first event of its kind in La Serenissima’s history and has heralded the beginning of an exciting period of change for the organisation. Guests were invited to attend the private concert at the Residence’s Ballroom and were treated to a sumptuous dinner. His Excellency entreated those attending to support the group’s activities which promote Italian culture in the UK and beyond, particularly at this time of great difficulty between the UK and Europe. La Serenissima was represented by the General Manager, Camilla Scarlett, in a short speech outlining the 25th Anniversary plans; Martin Randall also spoke passionately on our behalf about the importance of supporting the work of the charity. A very special evening was enjoyed by all! You can visit the Italian Embassy’s news page (here) to read their press release about the occasion and view a short clip of the scene.